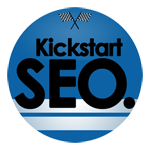 Brand New Website, Organic Optimisation, Instant PPC Kickstart for your site launch! A long term SEO solution for market reputation. 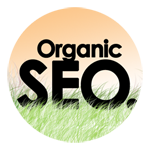 “Organic” search results are the ‘natural’ rankings that occur for Google Searches – that is, without any Pay Per Click advertising to buy your rank. Google shakes out the ranking for a particular search based on hundreds of individual factors weighed against each other, such as Content Validity, Relevant Keyword Density, Standards based Design, Inbound Links (people sharing and linking to your site), Social interactivity levels (Facebook & Twitter activity), and many more. We invest time every month to ensure your website builds a good ranking on its own merits, allowing you to forego the pitfalls of continuous advertising with Google Ads. Developing first page rank naturally can take several months, so if you’re in a real hurry to be found, take a look at the Kickstart Campaign. Rather be having a beer after work than sweating over your Google Pay-Per-Click settings? We understand sometimes you’re just not prepared to wait the 3 months for traditional Organic SEO to take hold at competitive levels. So as a short term alternative to our Organic SEO programme, we offer management of a Pay Per Click Campaign of Google Ads to get you online and being seen on Google searches as soon as your brand new website design is completed! We can build you a stunning, modern, industry-optimised website and then setup and manage your PPC campaign for you, delivering only the best value & optimal exposure, based on live trend research and listening to You; finding out what’s getting you the most customers through the door. The best part is you are responding to many relevant keyword searches in Google as soon as the campaign starts! Express solution gets your new site to 1st page exposure – without neglecting long term market presence. This package provides the best of both worlds, we work on your long term web reputation utilising organic search result optimisation, but at the same time we provide a short term solution with Google Ads Pay Per Click (PPC) advertising to get you maximum exposure for all possible keywords – right now. Start getting a return on investment as soon as your PPC Campaign goes live ! Instant Exposure with PPC Kickstart for your site launch! Monthly Reporting showing Rank History & Progress. Providing Adelaide with Customised, Dynamic Web Sites that get more visitors! From conception to delivery, we tailor your web presence to your needs, and target new possible markets with proven keyword-driven potential. Every business is different, and while we offer simplified packages which provide a fixed price that small businesses can easily budget for, We also provide completely personalised service for each client with a customised solution that gets results for you. Its these simple little things that we found have such a big impact in helping us to help you. Easily budgeting your marketing and your monthly expenditure with fixed prices and no hidden or unexpected fees! This puts you in complete control, giving you the flexibility to change your marketing approach at any time, having this freedom to explore alternate avenues while still retaining ownership of Website code and current SEO Rank. Resident Adelaide Team, this means we are literally only around the corner or the cost of a local phone call away. All staff have True Local Knowledge! No interstate detachment! Customised Marketing Strategies for your business, Adelaide business networking. We become Advocates for your business through internal networking with our continuous strong client base. Start small, but with a vision. When you're ready to dream big, we're here to assist you on that journey to turn your visions into a profitable reality. We bring the passion and excitement back into your business plans creating new possibilities, new prospects - for the same affordable price! Staying in touch with you directly as well as piece of mind knowing all you have to do is pick up your phone its just that simple. We know your business direction and goals, allowing us to tailor your solutions pro actively.Being we are an Adelaide business helping Adelaide businesses Call us and arrange to speak to a Local South Aussie face to face who knows Adelaide today! 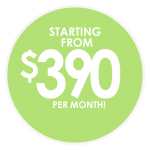 3 Simple Pricing Plans with flexible Add-Ons as you need them. Includes: Domain Email Address Service, Constant Organic Research & Analysis, Article Linking, Facebook Page Creation & Management Web Server Admin. 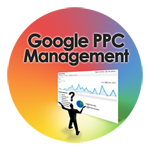 All PPC packages include: Website Design (if required), Domain Email Address (if required), Campaign Monitoring, Research & Analysis, Facebook Page Creation & Management, Web Server Admin. 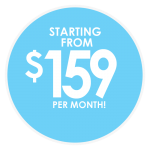 All additional website changes/editing/work will incur minimum fees of $19.95 or quoted per task. This package provides the best of both worlds, we work on your long term web reputation utilising organic search result optimisation, but at the same time we provide a short term solution with Google ads PPC to get you maximum exposure for all possible keywords. Start getting a return on investment in first 2 months! 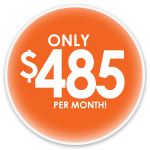 Your Kickstart Discount Price: only $485/month!